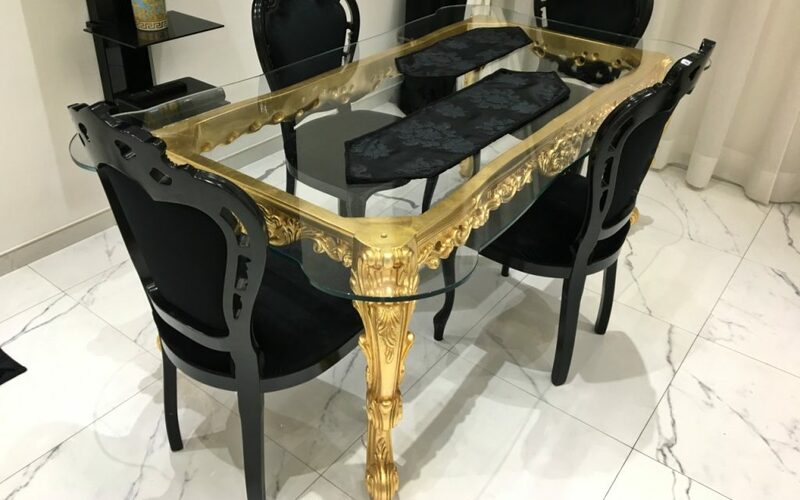 Orsitalia presents ROYAL, bespoke wooden rectangular baroque dining table or baroque shop counter, in Contemporary style with molded shaped glass top. 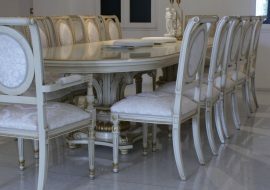 Orsiitalia produces Royal wooden dinner tables or shop counters in Italy only with their italian master carvers. 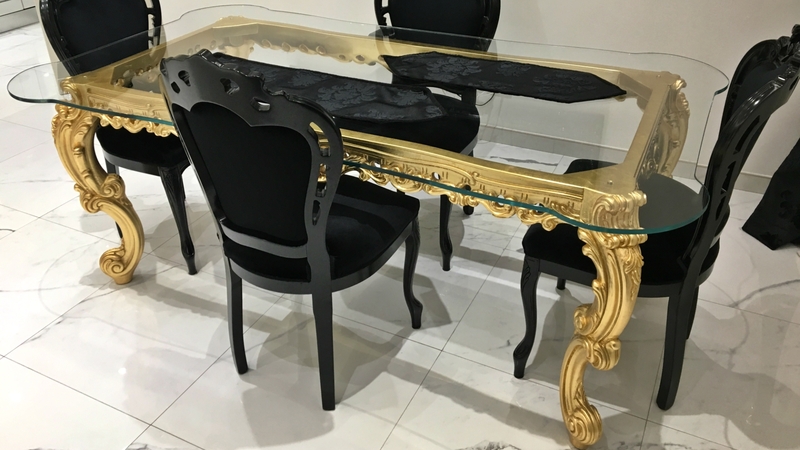 Orsitalia gives a wide range of customization both in sizes, choice of table tops and wood finishes for contemporary squared table Royal. 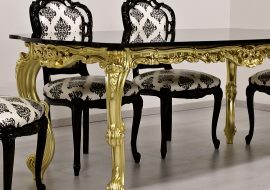 Orsitalia offers classic polishings like: gold, silver, copper, lacquered in white chalk, walnut and gold etc. 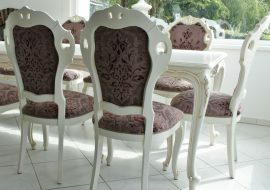 or modern lacquering in fashion natural colors or strong colors. 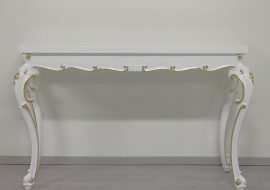 Orsitalia combines for Royal rectangular big table the elegance with the sinuous lines of the baroque style together with the pure line of design. 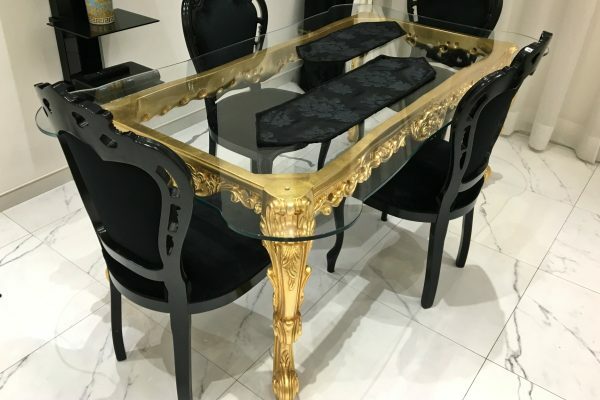 Orsiitalia customizes Royal rectangular baroque table with wood top lacquered in same color of the basement or in a different color and with natural stones or marble textures as: Black & Gold, Nero Marquinia, Emperador, Carrara. All furnishings marked ORSITALIA are entirely handmade in Italy by master craftsmen and are characterized by the use of the best raw materials and the meticulous care of all the slightest details. Bsement: wood is alive so not use any cleaning products but just a soft cloth to remove dust or damp soft cloth to remove stains.